1) Enable Tethering Stealth Mode - Hook your phone to your pc and use it as a modem undetected. 2) Enable Rapi - Disable security notifications while installing / running programs. 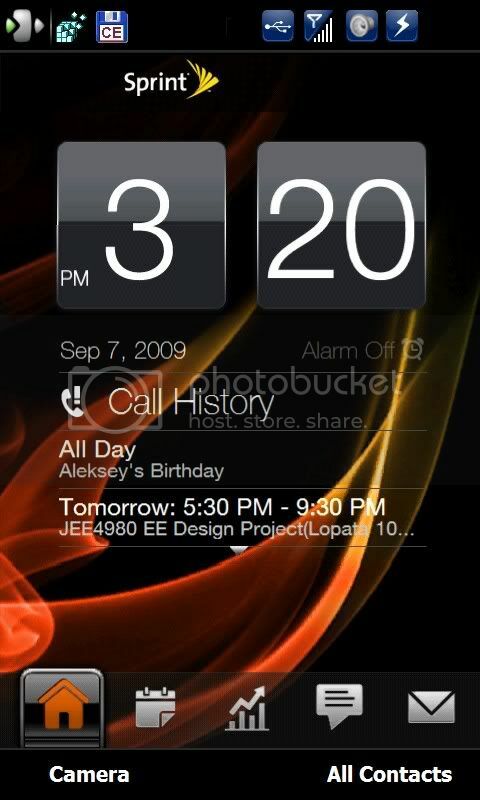 3) Disable Device Lock - Turn off lock screen when waking phone from sleep mode. 5) Manila Start Menu Unlocker - Remove lock feature on specific start menu items. 6) Enable All Camera Modes - Sport, Burst, Gps, etc. 7) Enable In-Call Recording - Record your phone calls. 8) Signal Strength 7 Bars - Telus stock signal strength is 5 bars causing incompatibility with some modified task bars. 9) AtomAng D3D Drivers - Increase D3D performance on device. 1) Background For All Pages - Have the same background in every TF3D tab. Big Thanks To Spike for the taskbar & SilverDS for the CDMA Reg Edit Fixes! Looks like Lil Rico's version is broken. Great, that one works! Thank you. Right near the bottom is "User Prefs'. Click this. Somewhere in the middle of User Prefs you'll see an option "Max Allowed Tabs". Here you can change the number of tabs openable in Opera. Press 'Save' and you're good to go. I've found I could no longer drag to highlight multiple items in any of my file explorers with the TP2. I deleted completely HKEY_LOCAL_MACHINE\SOFTWARE\HTC\HTCScroll, you can atempt to tweak these settings but i found fully deleting cured my problem (always back up, just in case) Doing this has completely restored my file explorer scrolling/selecting. Now to figure out how to beam multiple contacts. If the song you'd like to play as an alarm ringtones is a MP3 file, you first need to convert it in a WAV format file. Once it's done, upload the WAV file on your TP2 and move it in the /windows/ folder . That's it ! The new WAV file will be added automaticaly to the list of alarm ringtones in TouchFlo alarm screen. Select your new alarm ringtone and you're done. Wake yourself up by your favorite songs instead of the old "BRRRRRR-BRRRRRR-BRRRRRR"
Couldn't get this to work. The procedure seems to work okay, but when you relaunch Opera you still only have two tabs. I found the fix was to edit the Windows\Opera9\opera.ini file (pword works fine as an editor). Scroll down to the [User Prefs] section and locate the "Maximum Allowed Tabs=2" and change it to what ever number you prefer. You will need to soft reset for the change to take effect.